Airstream isn't the only manufacturer looking to integrate cellular connectivity as an option in new RVs. 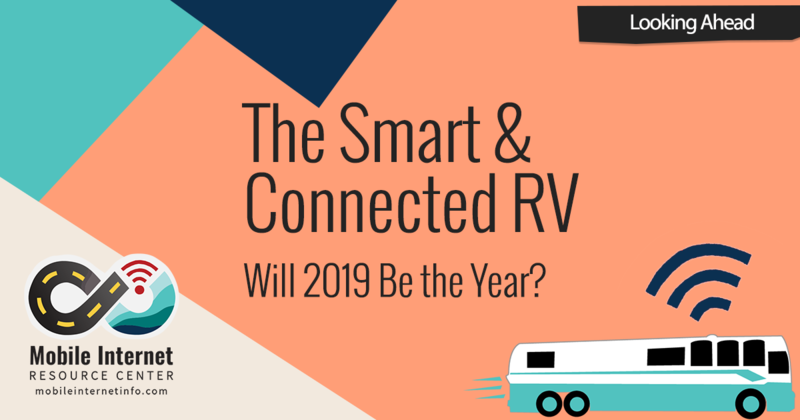 Over the past few weeks we've seen an explosion of new RV-centric internet and smart-home systems, most targeted at RV manufacturers to start offering as options in the 2019 model year. What follows is a quick summary of what is on our radar. Airstream is partnering with AT&T to bring out a very compelling unlimited data plan - exclusively for Airstreamers. But for those not willing to invest $149,900 in a big shiny hotspot, Airstream has now announced that the system and data plan they have worked out with AT&T will soon also be made available for "any Airstreamer" as part of a dealer-installed upgrade that will begin to be offered later this year. Once available, the "Unlimited Adventure" plan from AT&T will allow unlimited and unthrottled hotspot data for a full year for just $360. Or you can purchase data as needed in smaller chunks - 5GB at a time for $25. 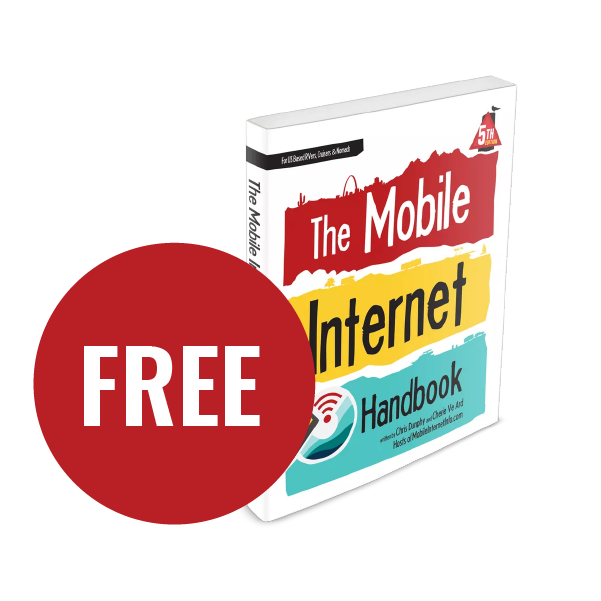 At least for now, you must purchase the proprietary cellular/ Wi-Fi hardware module directly from Airstream, and "professional installation" from a dealer will be required. Specific details on this hardware and costs have not yet been revealed. Depending on what the overall system cost ends up being, this may prove to be a great way even for people with vintage Airstreams to tap into this plan. And - since Airstream is owned by RV-giant Thor Industries, we would not be surprised at all to see this system eventually percolate down to any of the 17 other Thor-owned brands. 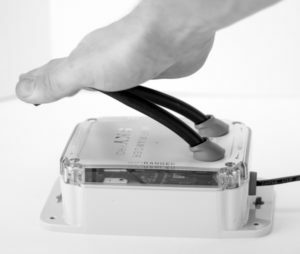 Lippert aims to put all your RV controls into the palm of your hand - even when you are away from your RV. Lippert Components has long offered its OneControl system to RV manufacturers to allow them to offer an easy app-based system for controlling all of an RV's systems. But now this basic remote control capability is being expanded with the ConnectAnywhere option - which integrates in LTE cellular connectivity giving your RV the ability to controlled from anywhere. The system is powered by a ConnectAnywhere cellular gateway module that allows a user-provided AT&T or T-Mobile data connection to be shared - you just need to provide an activated SIM card and data plan. "Owners who activate ConnectAnywhere’s cellular services will enjoy their own private wireless network, bypassing the commonly unreliable campground Wi-Fi networks. 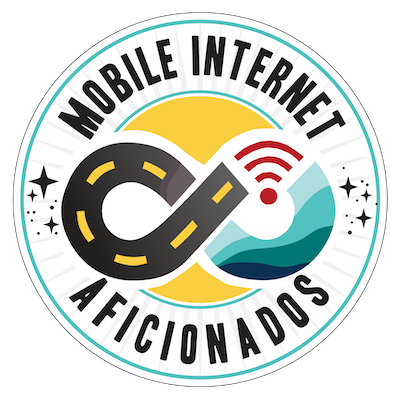 ConnectAnywhere was engineered and designed to allow multiple devices to be connected to the internet without a sacrifice in connectivity or performance." The ConnectAnywhere system can even enable voice control, powered by Amazon's Alexa. The 2019 Grand Design Momentum models will come with OneControl ConnectAnywhere standard, and 2019 Forest River Vengeance Toy Haulers will come pre-wired to allow a OneControl ConnectAnywhere Aftermarket Kit to be purchased and added later. Based on Lippert's track record, we expect many other RV manufacturers will begin to offer this pre-wiring too. We look forward to digging into the deeper technical capabilities of what this system can offer. To keep up the latest OneControl developments (and for a list of compatible RV models), check Lippert's web portal. The sleek Furrion Access antenna mounts on an RV roof, and comes with an indoor wall or ceiling mounted bracket for adding an optional LTE router that can tap into the roof-mounted MIMO LTE antenna. Furrion is known for providing much of the tech that comes included in stock RVs - the radios, TVs, antennas, and more. The latest generation of Furrion rooftop antenna, the newly announced Access, actually integrates TV, FM, AM, and cellular reception into one integrated roof unit. 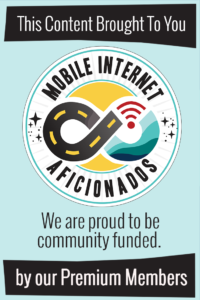 Furrion's goal is to encourage RV manufacturers to standardize on this antenna - and to have an interior dock ready for end-users to add on (at full retail price) a matching LTE / Wi-Fi router to provide shared cellular connectivity. 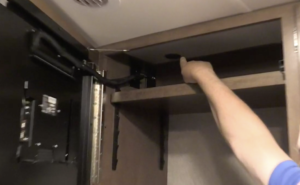 Every 2019 Keystone RV will come with the Furrion Access system installed, and other RV manufacturers will certainly be following along. In addition to being offered to RV manufacturers, the Furrion Access antenna will also be available later this Fall for self-installation, with a suggested retail price of $109.95. The Furrion LTE Wi-Fi Router will have a MSRP of $349.95. "A variety of data plans with nationwide coverage will be available to suit all connection needs for work or lifestyle." 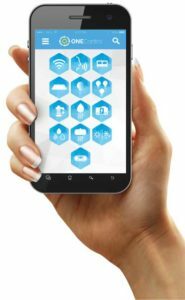 Magnadyne is encouraging RV manufacturers to pre-wire for long-range Wi-Fi, but LTE connectivity is an afterthought. 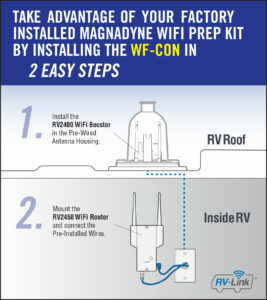 Like Furrion, Magnadyne is also encouraging RV manufactures to pre-install the Magnadyne "RV-LINK TV-2-WIFI" AM/FM/TV antenna on the roof of new RVs. But in this case - instead of cellular, the rooftop antenna has a place to add in a long-range Wi-Fi receiver hidden under the antenna's dome - and the antenna is pre-wired to an indoor location for mounting a matched indoor Wi-Fi router. 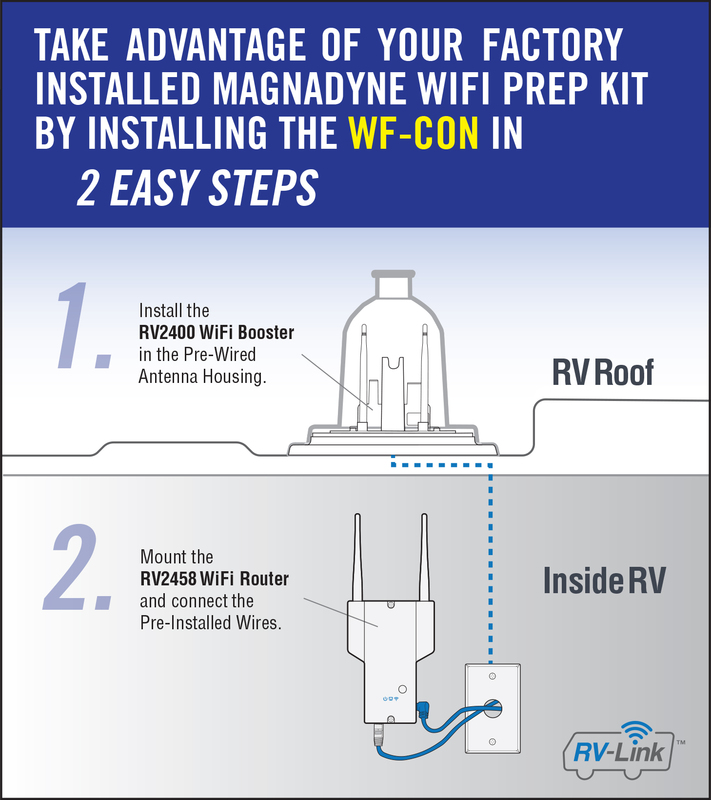 The RV-Link WF-CON Wi-Fi router upgrade kit will be available for $149.95, or end users will be able to purchase the complete antenna and router package for $189.95. 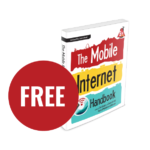 "Harness the versatility of the RV-Link by utilizing your phone's nationwide LTE data plan to hotspot when WiFi service is unavailable." 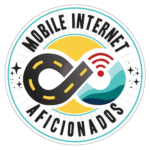 Yep - they are trying to convince you that using your phone for cellular rather than an integrated system with roof-mounted antennas is actually a positive. For more information on Magnadyne RV-Link, see the RV-Link web portal. Some In-Command control panels support remote access via the cloud, but its is up to you to provide your own network connection. Another major supplier to the RV industry is ASA Electronics (best known for owning the brand Jensen) - and ASA's iN-Command Control System has been providing a centralized systems control panel for a wide range of newer RVs. 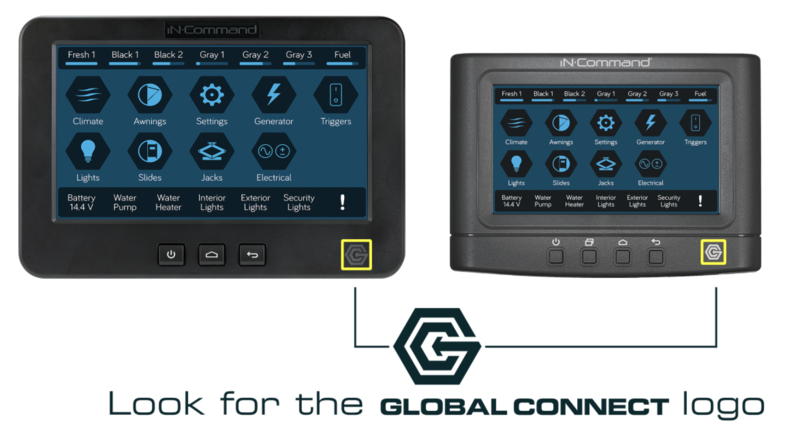 Earlier this year ASA began to offer a "Global Connect" feature on select control panel models to allow for app-based remote control and monitoring even while away from your RV. But unlike other systems - ASA is actually skimping entirely on providing any integrated connectivity to help make this possible. At the moment, ASA does nothing to provide cellular or long range Wi-Fi access to enable the Global Connect feature - you need to already have access to an established Wi-Fi hotspot for the Global Connect control panel to reach out to the cloud. "While we do not currently sell our own hotspot, iN-Command with Global Connect was designed to work with any aftermarket hotspot, as well as campground wifi and any cellular provider. This allows the end user to choose which provider and products they want to use, rather than limiting them to one or two providers." And indeed - some RV manufacturers are actually combining the Winegard ConnecT 2.0 (see below) with the ASA In-Command Global Connect. We do expect that ASA will be moving to expand In-Command and Global Connect substantially however in the years ahead - and we would not be surprised to see cellular and/or long-range Wi-Fi better integrated or offered as an option in the future. For more information on In-Command, and a list of the RV models that support it, see the In-Command web portal. Winegard has a great reputation as one of the leading providers of both satellite and over-the-air TV antennas designed for RV use. And in 2016, Winegard began to explore roof-mounted Wi-Fi and cellular options as well. But in November 2017 Winegard announced a completely redesigned ConnecT 2.0 model - and it came to market in February 2018. 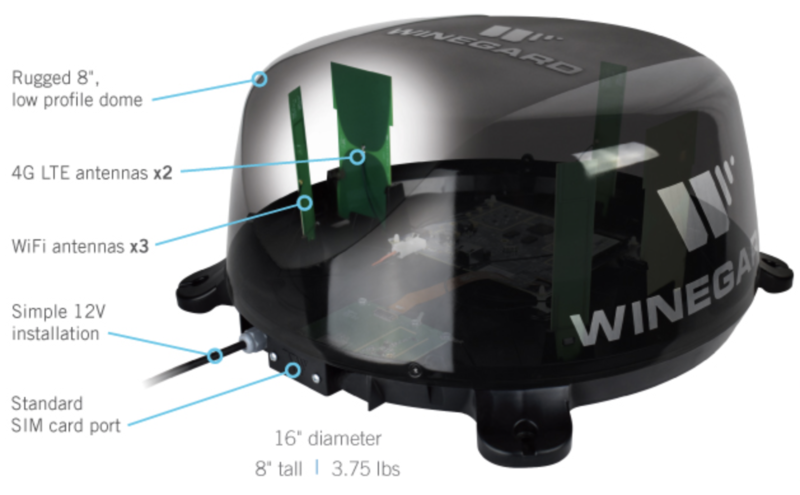 The completely redesigned ConnecT 2.0 is vastly cheaper, the cellular version is no longer locked in to a single carrier and data plan, and the outdoor antennas are all now contained within a much sleeker plastic dome housing that would look right at home on an RV roof. While neither option is new - we've been seeing more and more RV manufacturers offering both the original ConnecT and the newer ConencT 2.0 as options on new RVs. Winegard lacks the integration into overall smart RV systems, but we expect interesting bundles may eventually emerge. The WiFiRanger SkyPro has "Flex-Guard" antennas that should shrug off a low tree branch hitting them. These antennas are for Wi-Fi, the tiny LTE antennas are hidden inside the box. WiFiRanger has long offered connectivity options to RV manufacturers, including even LTE connectivity via the SkyPro LTE. But to better compete with other integrated "Smart RV" systems, WiFiRanger last week demonstrated a prototype AI-powered "Hey Ranger" assistant. The “Hey Ranger” AI Universal Assistant is an offline, artificial intelligence assistant with a custom vocabulary and skillset that allows voice control of nearly any kind of RV component or system (e.g. lights, awnings, slides, generators, pumps, battery life, etc). Systems manufacturers can build open based “skills” that allow the Hey Ranger AI Universal Assistant to manage and report system status for their unique RV component. The heart of the system will be a small box designed to be mounted in the RV ceiling so that it can listen for commands, and it will work in conjunction with a WiFiRanger router for connectivity. Initially this system is being targeted at RV manufacturers for new models shipping in mid-2019, but eventually WiFiRanger tells us this will likely become an aftermarket upgrade option as well. The cabinet behind the TV in the Winnebago Vita features AC and DC power, and a conduit to the roof making it easy to add the cellular and Wi-Fi gear that YOU choose. Rather than try to provide an integrated connectivity system that might not be what their diverse customers need, instead Winnebago has provided a built-in tech cabinet that features AC and DC power outlets, and a pre-routed conduit for easily running your own antenna cables to the roof. We are big fans of setting up a "tech cabinet" inside any RV, and we love seeing manufacturers embracing this concept. It may not be as fancy as some of the more integrated systems described above when rolling off the lot - but this simpler approach delivers far more flexibility to meet a customer's desires and support for future upgradability. 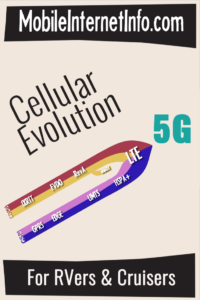 Check out our in depth guide to the history (and future) of cellular technology. 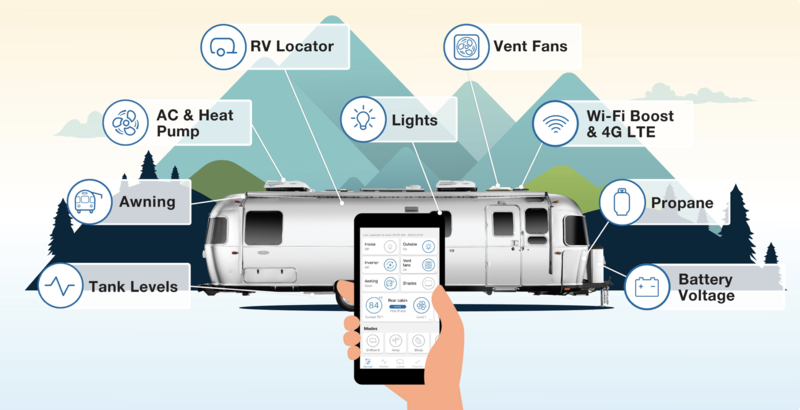 A smartly built integrated system designed with the future in mind has the potential to make a smart and connected RV feel magical. But if any corners have been cut, we worry customers might find themselves wishing they had just taken the Winnebago do-it-yourself tech cabinet approach.